Reporter Sharyl Attkisson who has been dogged in her reporting on administration scandals including Fast and Furious and Benghazi believes her computers have been compromised. Since the beginning of June, 66 Republicans have signed on to Rep. Paul Gosarâ€™s (R-Ariz.) legislation that calls for Holderâ€™s immediate resignation. Gosarâ€™s resolution now has 122 co-sponsors, more than half of the House GOP conference. In an interview with The Hill, Gosar attributed the burgeoning support to the Department of Justiceâ€™s controversial snooping on The Associated Press and Fox News. â€œAmericans have lost faith in our chief law enforcement officer. Heâ€™s contradicted himself in front of Congress,â€� said Gosar, who launched the resolution in the wake of the Justice Departmentâ€™s botched â€œFast and Furiousâ€� gun-tracking operation. Not one Democrat has backed the legislation, but Gosar is optimistic that will change. He said he has been reaching out to Democrats who voted to hold the attorney general in contempt of Congress last year. The contempt motion passed 255-67, with the support of 17 Democrats. In a real country where the Rule of Law is observed, they would have put him in prison A LONG TIME AGO. Take the race card away NOW. He's still in office because he is black. Remind you of somebody else? Obama's "complete confidence in Eric Holder" screams knowledge of, and actions promoting what happened. So, just exactly how far does it go into Congress persons supporting what happened? Is this why there is no impeachment? Is Congress 70% using prescription drugs, too? Not only that - Holder needs to be arrested, and sort it out afterward. Kinda like they do to us Citizens who pay taxes for these people to spend. Seize him, his assets and his operations, right now. Do you think what happened warrants it? Resignation... what a joke. LDS - CTR Ring - Choose the Right or is it the Reich? Topics surrounding the Church Of Jesus-Christ of Latter-Day-Saints annual income and spending. A Mega-Billion dollar tax-exempt corporation hiding behind the guise of a "Church". It is estimated that the LDS Church earns an average of 60 Billion dollars a year in holdings and 7 Billion dollars a year in annual member "Tithing". "Our church doesnâ€™t publish how much people have given. This is done entirely privately. One of the downsides of releasing oneâ€™s financial information is that this is now all public, but we had never intended our contributions to be known. Itâ€™s a very personal thing between ourselves and our commitment to our God and to our church." She said that there has been a longstanding agenda in the LDS establishment to place Mormons into governmental offices. â€œ[The LDS establishment has] been trying since the beginning to get someone in the presidency, because they believe they have to establish their authority so when Jesus comes to earth, the Mormon Church will take control of the government and the Mormons will be the government of God on earth,â€� Erickson explained. â€œThey believe that when Jesus comes back to earth in the millennium, that Heâ€™s going to come to Jackson County, Missouri, which thatâ€™s where they believe the Garden of Eden is,â€� she added. Erickson said that in Mormon ceremonies, participants must swear to keep secret what goes on behind closed doors. She advised that in rituals that she was involved with, she observed people being forced to make gestures signifying their death if they revealed what takes place. â€œThey actually had us [symbolically] slashing our guts open and our guts falling to the ground if we told people of the secret dogma of the ceremonies,â€� she stated. â€œTo my way of thinking the idiosyncrasies of Mormon belief and practice are not the issue; Catholic belief in transubstantiation and Protestant belief in the resurrection [of Jesus] can be made to look silly, too,â€� Romney told CNN last year after being informed of Ericksonâ€™s writings and speeches against him. Two federal agencies have slapped Zions Bank with multimillion-dollar civil penalties for failing to monitor suspicious wire transfers of billions of dollars related to transactions that may have involved drug trafficking and other crimes. The Office of the Comptroller of the Currency on Friday said it imposed an $8 million penalty against Zions for shortcomings in its anti-money laundering controls â€” violations of the Bank Secrecy Act and the USA Patriot Act. SALT LAKE CITY â€” A state strike force has busted an operation that was allegedly selling drugs and false ID cards. Six suspects were arrested Thursday while executing a search warrant at an apartment complex in Midvale. The Utah attorney general's SECURE Strike Force arrested the group as part of lengthy investigation into an organization suspected selling methamphetamine and false Social Security cards, driver's licenses and "green cards." "For those people out there wondering how big a problem this is, it's been huge," said chief deputy attorney general Kirk Torgenson. Similar operations "are just all over the place, manufacturing false social cards, numbers, drivers licenses, you know, the whole thing." Those booked into Salt Lake County Jail were: Francisco Javier Manenche-Bracamontes, 25, for investigation of possession of controlled substances with intent to distribute, possession of fraudulent identification, obstruction of justice ; Juan Zacapala-Bacho, 22, for investigation of possession of forged writing; Joel Pineda-Prudenta, 27, for investigation of possession of forged writing; Flavio Sorroza-Vasquez, 31, for investigation of false information to police; Jose Larios-Lopez, 44, for aggravated prior deportation and aggravated re-entry; and Cesar Cirino Manenche-Torres, 34, for prior deportation and re-entry . The statement from the Attorney General's Office said Thursday's arrest marked the 29th fraudulent document production mill shut down by the SECURE Strike Force since it was started about two years ago. | - Now I see how this story could have been true, LDS moms as drug mules? A Mormon mother from Arizona is being held in a Mexican prison on bogus drug smuggling charges, her family tells Fox News. The mother, Yanira Maldonado, traveled to Mexico for a funeral. On the way back to Arizona, she and her husband took a bus run by a company called a company called Tufesa. It was stopped at a checkpoint near Hermosillo, and that's when the family's nightmare began. Police searched the bus and said they found drugs under the seat she was sitting in with her husband, Gary. Gary was first charged, but then police dropped the charges against him and jailed his wife instead, he told Fox from Mexico, where he's trying to get his wife released. CIA Coup in Guatemala 1954 PART 3 of "A Coup Made in America"
Part 3: "The Catholic Church, the Guatemalan Military, and the Duck Test"
July 5, 2013, 12:45 p.m.
WASHINGTONâ€”A high-powered rifle lost in the ATFâ€™s Fast and Furious controversy was used to kill a Mexican police chief in the state of Jalisco earlier this year, according to internal Department of Justice records, suggesting that weapons from the failed gun-tracking operation have now made it into the hands of violent drug cartels deep inside Mexico. Local authorities said eight suspects in their 20s and 30s were arrested after police seized them nearby with a cache of weapons â€” rifles, grenades, handguns, helmets, bulletproof vests, uniforms and special communications equipment. The area is a hot zone for rival drug gangs, with members of three cartels fighting over turf in the region. Hundreds of firearms were lost in the Fast and Furious operation. The federal Bureau of Alcohol, Tobacco, Firearms and Explosives allowed illegal purchasers to buy the firearms at the Lone Wolf store in the Phoenix suburb and other gun shops in hopes of tracing them to Mexican cartel leaders. The WASR used in Jalisco was purchased on Feb. 22, 2010, about three months into the Fast and Furious operation, by 26-year-old Jacob A. Montelongo of Phoenix. He later pleaded guilty to conspiracy, making false statements and smuggling goods from the United States and was sentenced to 41 months in prison. Court records show Montelongo personally obtained at least 109 firearms during Fast and Furious. How the WASR ended up in the state of Jalisco, which is deep in central Mexico and includes the countryâ€™s second-largest metropolis, Guadalajara, remained unclear. Instead of being tracked, almost all the weapons were lost as they flooded across the border into Mexico. In all, some 211 people were killed or wounded by Fast and Furious weapons in Mexico, according to Mexican authorities. And on this side of the border, a Fast and Furious weapon was found at the Arizona scene where U.S. Border Patrol Agent Brian Terry was slain in 2010. Terryâ€™s slaying set off a number of investigations in Washington into Fast and Furious. It led to the firing or demotion of many ATF officials, including the agencyâ€™s acting director, who stepped down. It ultimately prompted the GOP-controlled House to vote Atty. Gen. Eric H. Holder Jr. in contempt of Congress for refusing to turn over a number of Fast and Furious records sought by the House Oversight Committee. LOS ANGELES (CBSLA.com) â€” U.S. Secretary of Homeland Security Janet Napolitano will become the first female president of the University of California system, officials announced Friday. â€œI am pleased to announce that the Special Committee has nominated Secretary of Homeland Security Janet Napolitano to serve as the 20th president of the University of California,â€� UC Regent and Committee Chair Sherry Lansing said. Napolitano, who will resign from her federal post Friday, will head the 145-year-old, 10-campus system that includes local schools such as UCLA, UC Riverside and UC Irvine. The UC system also includes five medical centers, three affiliated national laboratories and a statewide agriculture and natural resources program. The full Board of Regents will act on the recommendation Thursday, July 18, during a special meeting following the boardâ€™s regular bimonthly meeting in San Francisco [ I recommend a demonstration !!! ] . Appointed March 12, 2002 to a term expiring March 1, 2014 (by Davis); B.A., University of California, Berkeley; M.B.A, University of California, Berkeley; Chairman of Blum Capital Partners, L.P.; Co-Chairman of Newbridge Capital, LLC. Richard C. Blum is Chairman of Blum Capital Partners, L.P. and Co-Chairman of Newbridge Capital, LLC. Mr. Blum earned his B.A. and M.B.A degrees from the University of California, Berkeley. He was the recipient of UC Berkeley's Haas School of Business Alumnus of the Year Award in 1994 and is a member of the Advisory Board of the School. Mr. Blum serves as a director on a number of boards, including Playtex Products, Glenborough Realty Trust and is Chairman of CB Richard Ellis. He also serves as Co-Chairman of the World Conference on Religion and Peace and is Founder and Chairman of the American Himalayan Foundation and is a board member of the World Wildlife Fund and the Wilderness Society. He is also a trustee and a member of the executive committee of The Carter Center, founded by former President Jimmy Carter. Mr. Blum was appointed as a Regent in 2002 by Governor Davis to a 12-year term. Appointed March 11, 1999 to a term expiring March 1, 2010 (by Davis);re-appointed in 2010 (by Schwarzenegger) to a term expiring March 1, 2022. Founder of the Sherry Lansing Foundation and former Chair and CEO of Paramount Pictures' Motion Picture Group; B.S., Northwestern University. Sherry Lansing is the past Chairman of the Board of Regents and is the Founder of The Sherry Lansing Foundation. She is the former Chairman and CEO of Paramount Pictures Motion Picture Group, a position she held for twelve years. Prior to that, she headed her own production company. Ms. Lansing holds a bachelor of science degree from Northwestern University. She sits on the board of directors of The Carter Center, Teach for America, The American Association for Cancer Research, Friends of Cancer Research, and the Lasker Foundation. In 2005, Ms. Lansing was appointed to the Independent Citizens' Oversight Committee, the governing body of The California Institute for Regenerative Medicine. She has served on the board of trustees of Scripps College, the board of Independent Colleges of Southern California, the board of the UCLA Foundation, and the executive committee of the Dean's advisory board of the UCLA School of Theatre, Film and Television. Ms. Lansing was appointed as Regent in March 1999 by Governor Davis to a term expiring in 2010; she was re-appointed in 2010 by Governor Schwarzenegger to a term expiring in 2022. Mary Woodard Lasker (November 30, 1900 â€“ February 21, 1994) was an American health activist and philanthropist. She worked to raise funds for medical research, and founded the Lasker Foundation. In 1938 she became the president of the Birth Control Federation of America, the precursor of the Planned Parenthood Federation. Her second marriage was to Lord and Thomas advertising executive Albert Lasker until his death in the early 1950s of colon cancer. Ironically, her husband's ad agency had promoted smoking with the slogan, "L.S.M.F.T.â€”Lucky Strike Means Fine Tobacco"  back when the dangers of smoking were not well known. The Laskers supported National Health Insurance under Truman. After its failure Mary Lasker saw research funding as the best way to promote public health. With her husband, they created the Lasker Foundation in 1942 to promote medical research. The Lasker Award is considered the most prestigious American award in medical research. Eighty-one Lasker laureates have gone on to received a Nobel Prize. "head of the Zetas cartel"
Of those imprisoned Mexican nationals, 65 percent of them are serving time for illegal immigration offences, with the second most common offence being drug related crimes. The report shows that foreign nationals make up 25 percent of the total prison population in America and that in federal prisons; the number of foreigner in U.S. prisons has risen 7 percent since 2005. Non-violent drug offenders will avoid mandatory minimum sentences under proposals to cut America's soaring prison numbers due to be unveiled on Monday. Attorney general Eric Holder is expected to issue new guidance to prosecutors that could have a dramatic effect on the lengthy jail terms that judges are required to give anyone convicted of possessing more than a proscribed amount of certain drugs. In the future, many low-level charges against dealers not judged to be part of a large gang or cartel will no longer detail how much they were caught with â€“ side-stepping the federal minimum sentencing laws. Holder is also expected to announce other proposals to curb America's vast prison population, including compassionate early release for elderly inmates who are no longer viewed as dangerous and will promote drug-treatment programs as prison alternatives. "We must never stop being tough on crime. But we must also be smarter on crime," he is expected to tell the American Bar Association on Monday afternoon. "Too many Americans go to too many prisons for far too long, and for no good law-enforcement reason â€¦ Although incarceration has a role to play in our justice system, widespread incarceration at the federal, state and local levels is both ineffective and unsustainable." The US accounts for 25% of the world's prison numbers, even though it has only 5% of the world's population. Drug-related offences drive the vast majority of this, and people convicted of conspiring to sell 5kg of cocaine will currently receive a 10-year mandatory minimum sentence [ your typical foreign national drug mule ! ] . Re: Janet Napolitano denies knowing about â€œFast and Furiousâ€� DRUG operation. 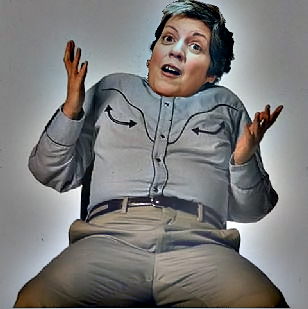 When former Homeland Security Secretary Janet Napolitano takes over as president of the University of California later this month, she will live in leased accommodations that the college system is renting for nearly $10,000 a month. While the price tag is several thousand dollars less than what the university spent leasing her predecessor's home, some university officials say it might be more cost-effective in the long run to fix up a vacant mansion that housed previous university presidents. A committee of the University of California's governing board agreed Tuesday to spend $620,000 toward the multi-million cost of renovating the historic Blake House, which is located not far from UC Berkeley and has been unoccupied since 2008. The full Board of Regents must review the request, which it is scheduled to do on Wednesday. The house, built in 1924 and located in the hills not far from UC Berkeley, was bequeathed to the university by wealthy alumni and became home to President Charles Hitch in 1968. According to the San Francisco Gate $97,636 in private funds has been spent to maintain the home. Foundation problems and roof problems are among the many repairs the home is in need of. Due to the recession, plans were put on hold. Blake Garden (10.6 acres) is a landscape laboratory and public garden located at 70 Rincon Road in Kensington, California, United States. It is a teaching facility for the Department of Landscape Architecture and Environmental Planning of the University of California, Berkeley. It is also the site of Blake House, formerly the residence of the President of the University of California. The garden is open to the public during weekdays; no admission fee is charged. The Blake's original family home was on Piedmont Avenue, where Memorial Stadium now stands. The building of the stadium prompted the building of two homes in the Kensington hills, Anson Blakeâ€™s house, now Blake Garden, and the Edwin Blake house, now the Carmelite Monastery. The garden was deeded to the Landscape Architecture Department in 1957 by Anson and Anita Blake, and title passed to the University upon Anita Blake's death in 1962. Five years later, Blake House became the UC President's official residence, until 2009. The siting of Blake house is integral to the gardenâ€™s design: it shelters the Formal Garden from the strong prevailing winds off the Golden Gate. The grounds for both estates were designed by Mrs. Blakeâ€™s sister, Mabel Symmes, who graduated from the university's Landscape Architecture Department in 1914. Ms. Symmesâ€™ original plan showed great sensitivity to the site. Much of her original plan can still be seen in the design of the Pink and Yellow Gardens with its grotto, inspired by the Villa Tusculana at Frascati, Italy and the reflecting pool which was part of a system to take advantage of underground water. The Redwood Canyon, with redwood cuttings brought from the Blakeâ€™s property in Berkeley and St. Helena, is planted along a natural waterway. The original plan also shows a lake in the Australian Hollow, taking advantage of the high water table in that part of the garden. In 2010 this area was restored to a native wetland by UC students, volunteers and Blake Garden staff. The wetland now provides habitat to a community of Pacific chorus frogs and area birds. Anson Stiles Blake was born in San Francisco on August 6, 1870. He was the son of Harriet Stiles Blake and Charles Thompson Blake. His father, C.T. Blake was an early pioneer to San Francisco, arriving in 1849 from New Haven, Connecticut after a difficult voyage through Central America. Anson Blake attended Lincoln Grammar School and Boy's High School in San Francisco before moving with his family to Berkeley where he attended the University. Upon graduation in 1891 Blake went to work for the Bay Rock Company in Oakland, moving two years later to the Oakland Paving Company a macadamizing outfit run by his father and his father's associate C.T.H. Palmer. In 1899 he became president of that company. In 1894 he married Anita Day Symmes, a recent U.C. graduate. Blake's interest in such businesses arose from his father's and grandfather's own mining and mine-equipment backgrounds. (His grandfather patented the Blake Rock Crusher in 1858.) In 1904 he helped to form the San Pablo Quarry Company which supplied materials to the city of San Francisco for its rebuilding after the earthquake. In 1914 the company, which later became Blake Brother's in Richmond, was created and this business was in Blake's control until 1954. Rock from this company helped to keep islands in the Sacramento-San Joaquin from flooding in addition to supplying the bayside rock edges of Treasure Island for the 1939 Fair there. Berkeleyâ€™s Historic Rose Garden is a regional destination with its 3,000 rose bushes and 250 varieties of roses, along with breathtaking views of the San Francisco Bay and the Golden Gate Bridge. The Berkeley Rose Garden was one of the first Civil Works Progress Projects built under the Works Progress Administration (WPA). It was conceived in 1933 and completed and dedicated for public use in September 1937. East Bay rose societies and community members donated hundreds of hours of volunteer time. The terraced amphitheatre and 220-foot-long redwood pergola were suggested by architect Bernard Maybeck; the final design and execution were the work of landscape architect Vernon M. Dean and rose specialist C. V. Covell. A small garden of economic plants was established on the Berkeley campus on the site currently occupied by Moffit Library in the 1870â€™s by Dr. Eugene W. Hilgard (1833-1916), founding Dean of Agriculture . 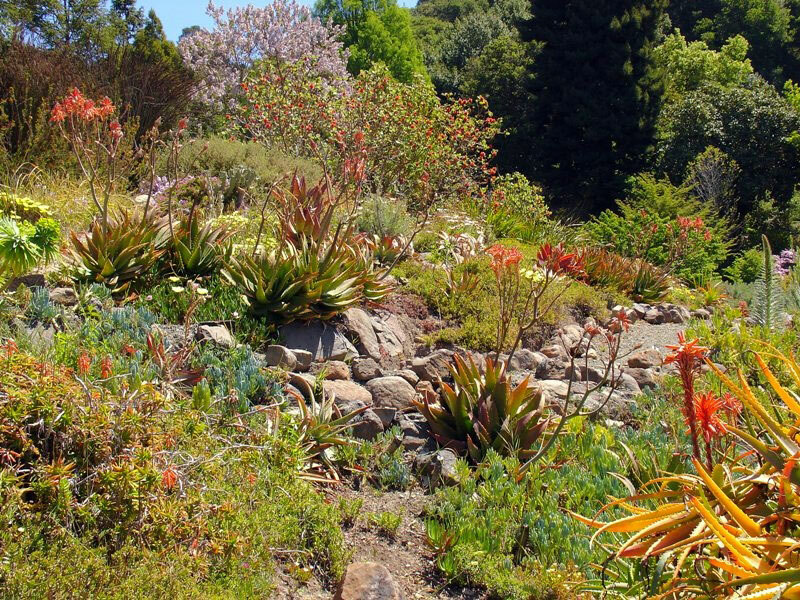 The University of California Botanical Garden was formally established in 1890 by E. L. Greene, the first chairman of the Department of Botany, to form a living collection of the native trees, shrubs, and herbaceous plants of the State of California, with the intent to gather in as rapidly as possible those of the neighboring states of the Pacific Coast. Within two years the collection numbered 600 species. In the following decade it grew to 1500, but then began to expand both its scope and collection to encompass plants from all continents and about 10,000 species. The original official Garden was located near Haviland Hall on the north side of campus centered around a large glass conservatory modeled after the London Crystal Palace . (Reuters) - At least 33 mutilated corpses have been found buried in an area of western Mexico where drug cartels are battling each other, officials said on Friday, the latest in a series of grisly finds amid a scourge of gang-related violence. The bodies, which showed signs of torture, were found in 19 ditches in La Barca, on the border between the states of Michoacan and Jalisco, where a clutch of rival cartels operate. Mexico has suffered from a wave of drug-related violence, with about 1,000 people a month dying in gangland killings. About 80,000 people have died since 2007 in cartel violence. President Enrique Pena Nieto has sought to shift the focus away from drug violence that dominated his predecessor's term and onto economic reforms he is seeking to push through Congress. President Pena Nieto vowed to focus on reducing violent crime and extortion rather than going head to head with drug bosses. However, the steady stream of killings has continued unabated. Leaked emails from the private U.S. security firm Stratfor cite a Mexican diplomat who says the U.S. government works with Mexican cartels to traffic drugs into the United States and has sided with the Sinaloa cartel in an attempt to limit the violence in Mexico. Most notably, the reports from MX1 line up with assertions by a Sinaloa cartel insider that cartel boss Joaquin Guzman is a U.S. informant, the Sinaloa cartel was â€œgiven carte blanche to continue to smuggle tons of illicit drugs into Chicago,â€� and Operation Fast and Furious was part of an agreement to finance and arm the Sinaloa cartel in exchange for information used to take down rival cartels. An investigation by El Universal has found that between the years 2000 and 2012, the U.S. government had an arrangement with Mexico's Sinaloa drug cartel that allowed the organization to smuggle billions of dollars of drugs in exchange for information on rival cartels. Sinaloa, led by Joaquin "El Chapo" Guzman, supplies 80% of the drugs entering the Chicago area and has a presence in cities across the U.S. There have long been allegations that Guzman, considered to be "the worldâ€™s most powerful drug trafficker," coordinates with American authorities. Then-Justice Department prosecutor Patrick Hearn told the Chicago court that, according to DEA special agent Steve Fraga, Castro "provided information leading to a 23-ton cocaine seizure, other seizures related to "various drug trafficking organizations," and that "El Mayo" Zambada wanted his son to cooperate with the U.S.
After being extradited to Chicago in February 2010, Zambada-Niebla argued that he was also "immune from arrest or prosecution" because he actively provided information to U.S. federal agents. A Mexican foreign service officer told Stratfor in April 2010 that the U.S. seemed to have sided with the Sinaloa cartel in an attempt to limit the violence in Mexico. 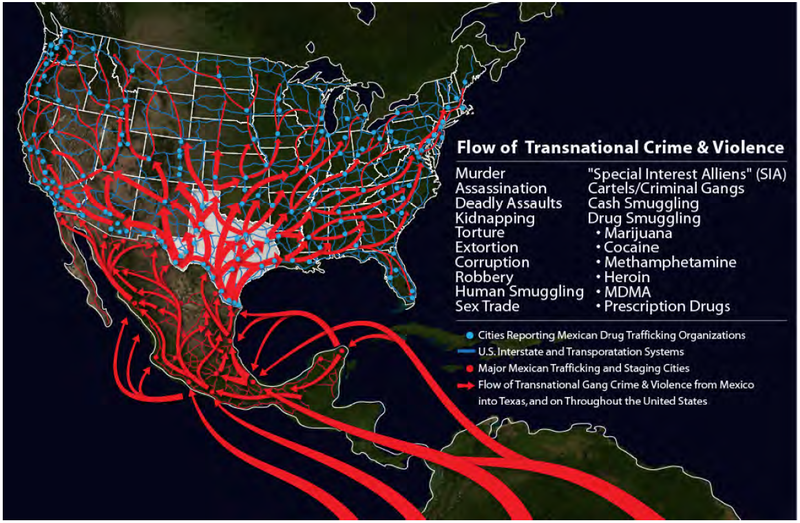 El Universal said that the coordination between the U.S. and Sinaloa peaked between 2006 and 2012, which is when drug cartels consolidated their grip on Mexico. The report ends by saying that it is unclear whether the arrangements continue. The DEA declined to comment to El Universal. An investigation by major Mexican newspaper El Universal has concluded that the United States government worked with the Sinaloa cartel from 2000 and 2012 as part of a divide and conquer strategy. In exchange for intel on rival cartels, the U.S. government allegedly allowed the cartel to smuggle billions of dollars worth of drugs. 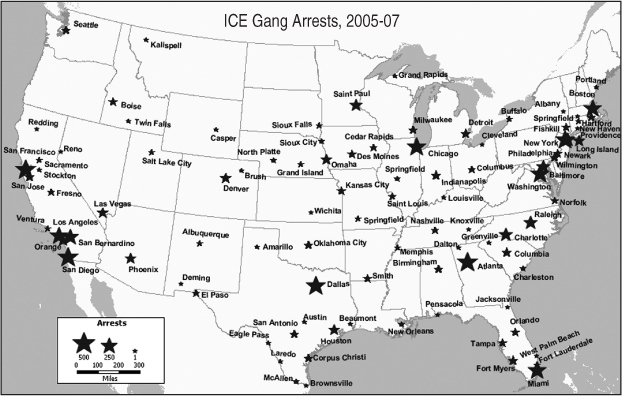 â€œThe DEA agents met with members of the cartel in Mexico to obtain information about their rivals and simultaneously built a network of informants who sign drug cooperation agreements, subject to results, to enable them to obtain future benefits, including cancellation of charges in the U.S.,â€� the report adds. Armed vigilantes who have taken control of territory in lawless Michoacan state could turn into the very sort of organized crime forces they're fighting, a Mexican official assigned to clean up the violence-wracked state said Thursday. Alfredo Castillo, the federal government's new envoy to coordinate security and development in the state, said the Knights Templar cartel that so-called self-defense groups are battling formed about 10 years ago with the same mission: to fight an incursion by the Zetas cartel. The cartel, Castillo said, originally did what the vigilantes are doing â€” "taking control of municipalities." Government officials are starting to echo what critics are saying about the vigilantes, who have taken territory from the cartel with the tacit approval and even security cover of the federal government, though Osorio Chong has denied that. The U.S. State Department said Wednesday that the warring between vigilantes and the cartel is "incredibly worrisome" and that it is "unclear if any of those actors have the community's best interests at heart." Estanislao Beltran, spokesman for the self-defense groups, said the mission is to kick out the cartel, not become one. "They're drug traffickers, we're farmers, we're working people," he said. "We will never permit another cartel to come into our state." Farmers wearing bulletproof vests and toting assault rifles ride in pick-up trucks emblazoned with the word "self-defense" to protect this rural Mexican town from a drug cartel. The government deployed thousands of troops to the western state of Michoacan this week, but in some towns like Coalcoman, population 10,000, vigilantes are wary of putting down their weapons until they feel safe again. "We won't drop our guard until we see results," Antonio Rodriguez, a 37-year-old avocado grower and member of the community force, told AFP. Authorities detained four members of a self-defense group in another town called Buenavista on Wednesday, angering about 200 residents, some wielding sticks, who surrounded some 20 soldiers to demand their release. â€œSociety wonders why the federal forces â€œhave not been able to discover the safe houses of the criminals and to date have not released anyone, when there are dozens and dozens of people kidnapped,â€� he added. Mexico madness: Did the Knights Templar murder the navy's vice admiral? Vice Adm. Carlos Salazar and a bodyguard were shot dead Sunday when gunmen attacked their official navy car, which had been diverted by a protest blockade on a major toll road on to a secondary road in Michoacan. MEXICO CITY, Mexico â€” This week's ambush murder of a Mexican navy admiral by alleged gang members in the violent Pacific coast state of Michoacan wasn't a premeditated attack, the state's acting governor said Wednesday. Federal police quickly arrested three men they say carried out the attack, whom they identify as low-level members of the Knights Templar criminal band. MAZATLAN, Mexico - For 13 years Joaquin "El Chapo" Guzman watched from the rugged mountains of western Mexico as authorities captured or killed the leaders of every group that challenged his Sinaloa cartel's spot at the top of global drug trafficking. Unscathed and his legend growing, the stocky son of a peasant farmer grabbed a slot on the Forbes' billionaires' list and a folkloric status as the capo who grew too powerful to catch. Then, late last year, authorities started closing on the inner circle of the world's most-wanted drug lord. The son of one of his two top henchmen, Ismael "Mayo" Zambada, was arrested at a border crossing in Nogales, Arizona in November as part of a sprawling, complex investigation involving as many as 100 wiretaps, according to his lawyer. A month later, one of the Sinaloa cartel's main lieutenants was gunned down by Mexican helicopter gunships in a resort town a few hours drive to the east. Less than two weeks passed before police at Schipol Airport in Amsterdam arrested one of the cartel's top assassins, a man who handled transport and logistics for Guzman. This month the noose started tightening. Federal forces began sweeping through Culiacan, capital of the Pacific coast state of Sinaloa - closing streets, raiding houses, seizing automatic weapons, drugs and money, and arresting a series of men Mexican officials carefully described to reporters as top officials for Zambada. Such is the size of the illicit drugs market, that by the time of his fall, Guzman was probably overseeing an empire with as many as 150,000 people in its employ, said Malcolm Beith, author of "The Last Narco", a biography of the kingpin. The fallout will likely be violent, he said. "Whenever the leadership of a drug cartel is compromised, there are turf wars at lower levels," Beith told Reuters. "We've seen increased violence already in recent months in Sinaloa since the capture or death of several high-ranking lieutenants, I expect more to follow." "The politicians who protected El Chapo aren't being arrested, nor are the businessmen who worked with him," he said. "Without that, the arrests end up being inconsequential for dismantling the organization." An investigation by El Universal found that between the years 2000 and 2012, the U.S. government had an arrangement with Mexico's Sinaloa drug cartel that allowed the organization to smuggle billions of dollars of drugs while Sinaloa provided information on rival cartels. Now look how the DEA "boss" of Chicago got there: Fusion Center!!! Special Agent in Charge - John [Jack] Riley . In 2008, he was selected by the U.S. Attorney General and the DEA Administrator to serve as the first Director/Special Agent in Charge of the Organized Crime Drug Enforcement Task Force (OCDETF) Fusion Center. He oversaw the Fusion Center, which was the worldâ€™s first of its kind to provide seamless law enforcement strategies and operations aimed at dismantling national and international criminal organizations. The Fusion Center is comprised of representatives from DEA, ICE, ATF, Secret Service, FBI, IRS, DOJ, USMA, USPIS, Department of Labor, USCG, State Department, CBP, Serious Organized Crime Agency- Great Britain, and Interpol. In July 2010, SAC Riley was appointed as the Special Agent in Charge of the Chicago Field Division. He directs all enforcement and administrative activities for DEA operations in the states of Illinois, Indiana, Wisconsin, Minnesota, and North Dakota. The city may be nearly 2,000 miles from Mexico, but the countryâ€™s drug cartels are so deeply embedded in Chicago that local and federal law enforcement are forced to operate as if they are â€œon the border,â€� according to Jack Riley, special agent in charge for the Chicago Field Division of the Drug Enforcement Administration (DEA). â€œMy opinion is, right now, a number of the Mexican cartels are probably the most organized, well-funded, vicious criminal organizations that weâ€™ve ever seen,â€� said Riley. 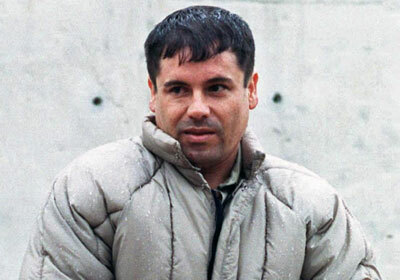 Sinaloa cartel boss Joaquin â€œEl Chapoâ€� Guzman was the first criminal dubbed Chicagoâ€™s â€œPublic Enemy No. 1â€� since Al Capone, even though heâ€™s never set foot in the city. Now, after Guzmanâ€™s arrest early Saturday in Mexico, the head of the U.S. Drug Enforcement Administration in Chicago said heâ€™s aiming to bring Guzman here to stand trial. 13 years he ran the crew, unlucky number 13. If I was a cynic I would question who's toes he stepped on. The Panama kingpin (link) ,Noureiga went down the same way. CBS News investigative correspondent Sharyl Attkisson has reached an agreement to resign from CBS News ahead of contract, bringing an end to months of hard-fought negotiations, sources familiar with her departure told POLITICO on Monday. Attkisson, who has been with CBS News for two decades, had grown frustrated with what she saw as the network's liberal bias, an outsized influence by the network's corporate partners and a lack of dedication to investigative reporting, several sources said. She increasingly felt like her work was no longer supported and that it was a struggle to get her reporting on air. CBS just lost their best reporter because she did what a reporter was suppose to do: Find the truth. I don't think it matters to her who is in office if there is fraud going on investigate! Sharyl had no place at CBS, a media arm of Obama's Gangster Govt Inc. She dared to report on Operation Fast and Furious and Benghazi, so she was a pariah there. American Pravda = ABCNNBCBS, the NYT, WP and LAT etc. Their motto is, "It's not a scandal if we don't report it." They spent 100 times more minutes covering "Bridgegate" than Fast and Furious (300+ Mexicans murdered on purpose) and Benghazi combined. Sharyl didn't play "team ball" and was reduced to tweeting out her scoops, CBS would not give her ten seconds of airtime. Attorney General Eric Holder said Sunday he and President Obama have been targets of â€œa racial animusâ€� by some of the administrationâ€™s political opponents. There's a certain level of vehemence, it seems to me, that's directed at me [and] directed at the president,â€� Holder told ABC. â€œYou know, people talking about taking their country back. â€¦ There's a certain racial component to this for some people. I donâ€™t think this is the thing that is a main driver, but for some there's a racial animus." Yeah, I saw this on another site. "No. We're a nation of people being manipulated. These people stir up *hit so we the people want to hate, fear, blame each other. We want to beat the *hit out of each other and possibly even kill each other. Our differences are being used against us. It's controlled. We're controlled in every way possible. If every person out there got the big clue and we all united together, IT WOULD BE THE ELITES WORST NIGHTMARE. They can do whatever the hell they want and they know, they know we're going to be too busy focusing on each other to notice what they're doing. Stop doing this. Unite together. It's time to stop listening to people trying to poison our minds. As for Holder, you're a criminal. Go *uck yourself." Where would we be at if people would stop listening to people trying to poison their minds? Where would be at if people would stop looking for some leader to unite people together and became their own leader? Where would we be if we had govts all along that represented the people and country and did what they were supposed to?" "You want to do something? Don't wait for a leader to get here and unite the people. YOU BE YOUR OWN LEADER." "Maybe we would all be united together if you didn't have certain *astards getting up there and stirring things up? You take notice of how it goes. Especially when a scandal comes up. They'll get up there and say or do something that gets us all in a frenzy again. I'm smarter and better than that. I see the truth through the lies, the *hit stirring, the bull*hit." "â€œFor whatever reason, [some] Republicans decided early on that this was a president they were just simply not going to cooperate with,â€� Holder said.--Fake tug of wars. How many of you notice that? There's big talk and no action. Just like the immigration thing. We'll have some big show put on for us about how "something has to be done!". It's all talk. They'll get the money they ask for. It's getting harder and harder to sit through this *hit show." "people talking about taking their country backâ€� --Gee, what could this comment mean? Oh, maybe it means having a govt that obeys laws instead of breaking them, having scandals every single day, cover ups and lies for the scandals every single day. Actually having a govt that represents the people and country? NAW, let's spin this as another racial issue! Again, go *uck yourself." "So what is it? How many whites supported Obama? Or are you trying to say that the votes don't matter and everything is rigged? How can you vote for a black man and be a racist? Doesn't add up, does it? It doesn't matter. The votes are rigged. The parties are rigged and controlled by the same people. It's all a lie." "In the interview, Holder also reiterated claims he has made in the past that both he and President Obama are treated differently than their predecessors, partially because of their race.--BULL*HIT! I see it for what it really is. They're all criminals. The parties don't matter, the race doesn't matter. The actions are the only things that matter. And we've been *ucked over by a lot of people for a long time." WASHINGTON â€” Attorney General Eric H. Holder Jr. is resigning from his post, the Justice Department said Thursday. Mr. Holder will remain in office until a successor is nominated and confirmed. Mr. Holder, the 82nd attorney general and the first African-American to serve in that position, had previously said he planned to leave office by the end of this year. U.S. District Court Judge John D. Bates has denied a request from the Department of Justice to delay the release of a list of Operation Fast and Furious documents being protected under President Obama's assertion of executive privilege. The list, better known as a Vaughn index, was requested through a June 2012 FOIA filing by government watchdog Judicial Watch. When DOJ didn't respond to the FOIA request in the time required by law, Judicial Watch sued in September 2012, seeking all documents DOJ and the White House are withholding from Congress under executive privilege claims. President Obama made the assertion on June 20, 2012 just moments before Attorney General Eric Holder was held in contempt. In July 2014, after two years of battling for information, Judge Bates ordered the Department of Justice to release the Vaughn Index by October 1. DOJ responded by asking for a month long delay in releasing the list with a deadline of November 3, just one day before the 2014-midterm elections. That request has been denied. A short delay was granted and DOJ must produce the Vaughn index by October 22. "The governmentâ€™s arguments for even more time are unconvincing," Bates said in his ruling. "Seventy-five daysâ€”plus another twenty-one, based in part on Judiciary Watchâ€™s consentâ€”is enough time for the government to prepare the index that this Court has ordered, given that this matter has been pending for over two years. The Court will therefore extend the Departmentâ€™s Vaughn index submission deadline to October 22, 2014â€”and no further." President Obamaâ€™s trusted senior advisor, Valerie Jarrett, was a key player in the effort to cover up that Attorney General Eric Holder lied to Congress about the Fast and Furious scandal, according to public records obtained by Judicial Watch. The information is part of a Department of Justice (DOJ) â€œVaughn indexâ€� detailing records about the gun-running operation known as Fast and Furious. JW had to sue the agency for the records after the Obama administration failed to provide them under the Freedom of Information Act (FOIA). A federal court ordered the DOJ to provide the records over the agencyâ€™s objections. Yesterday JW reported on the broad information in the records, including that Obama asserted executive privilege for Holderâ€™s wife as part of the administrationâ€™s efforts to cover up the scandal. Practically lost in the 1,000-plus pages of records is an index that shows Jarrett was brought in to manage the fact that Holder lied to Congress after the story about the disastrous gun-running operation broke in the media. The Bureau of Alcohol, Tobacco Firearms and Explosives (ATF) ran the once-secret program that allowed guns from the U.S. to be smuggled into Mexico so they could eventually be traced to drug cartels. Instead, federal law enforcement officers lost track of hundreds of weapons which have been used in an unknown number of crimes, including the murder of a U.S. Border Patrol agent in Arizona. This directly contradicted Holderâ€™s May 3, 2011 testimony to the House Oversight and Government Reform Committee, during which he stated that he, â€œprobably heard about Fast and Furious for the first time over the last few weeks.â€� The October 4, 2011 date may also be significant because it came shortly after the August 30, 2011 resignation of U.S. Attorney for Arizona Dennis Burke and reassignment of acting ATF director Kenneth Melson to the position of â€œsenior forensics advisorâ€� at DOJ. Nevertheless, given the timing and subject of these e-mails, it seems clear that Jarrett quickly became a key player in the Fast and Furious cover-up in the immediate aftermath of the revelation that Holder had lied to Congress. The Justice Department sent Congress 64,280 pages of documents it had previously withheld from the botched Fast and Furious gun-walking operation on Tuesday, in a move Republicans said was an admission by President Obama that he overstepped his legal bounds. Investigators had sought the documents for years, with the House even suing in federal court to force their release. Mr. Obama had asserted executive privilege, claiming the documents were part of the â€œdeliberative processâ€� of White House decision-making and therefore didnâ€™t need to be divulged, but the court rejected those claims. House oversight committee Chairman Darrell Issa told Fox News on Thursday that a massive trove of emails handed to his office on the eve of the elections indicates Attorney General Eric Holder was â€œat the heartâ€� of deliberations over the Operation Fast and Furious scandal. Issa rejected the charges, saying on Fox News the culpability lies with higher-ups, not the ATF, anyway. Washington, DC, December 22, 2014 â€“ With the Mexican government facing widespread public outrage over the alleged role of police and other officials in the September forced disappearance of 43 students, and the killings of at least six others, from Ayotzinapa Normal School, the countryâ€™s federal prosecutor (PGR) has for the first time declassified a document on the suspected participation of police in the kidnapping and massacre of hundreds of migrants in San Fernando massacres of 2010-11. The new revelations, along with key U.S. documents on how violent drug cartels gained control of local police forces in parts of Mexico during the last decade, are the subject of â€œSan Fernando-Ayotzinapa: las similitudesâ€� (â€œSan Fernando-Ayotzinapa: the similaritiesâ€�), an article published online today in Mexicoâ€™s Proceso magazine in collaboration with Michael Evans and Jesse Franzblau of the National Security Archive. According to declarations from members of the Los Zetas drug cartel named in the newly-declassified â€œTarjeta Informativaâ€� (â€œinformative noteâ€� or â€œinformation memoâ€�), the police acted as â€œlookoutsâ€� [â€œhalconeoâ€�] for the group, helped with â€œthe interception of persons,â€� and otherwise turned a blind eye to the Zetasâ€™ illegal activities. Those crimes included the summary execution of 72 migrants pulled from intercity buses in San Fernando in August 2010 and an untold number of similar killings that culminated in the discovery, in April 2011, of hundreds more bodies in mass graves in the same part of the Mexican state of Tamaulipas. The victims were mainly Central American migrants making their way to Texas, which borders Tamaulipas to the north. 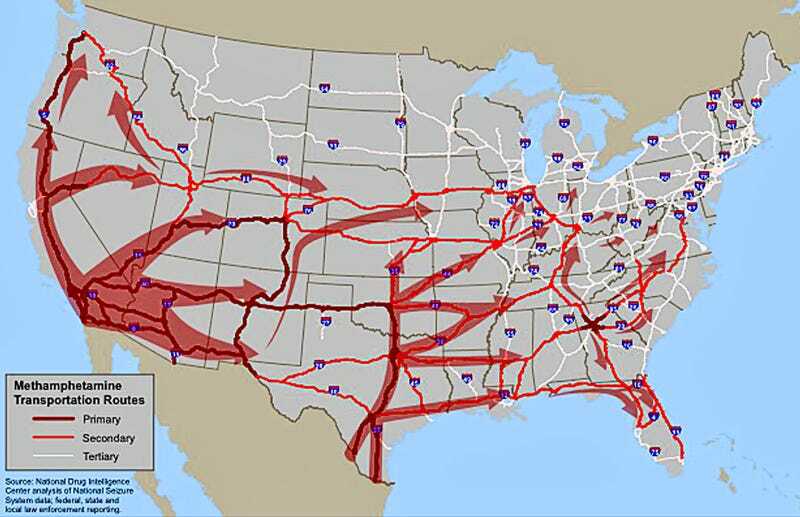 The stateâ€™s highways are at once primary avenues for migrants and highly-contested narcotrafficking corridors. U.S. Federal Bureau of Investigation, memorandum, classification unknown, 2 pp. U.S. Federal Bureau of Investigation, Intelligence Assessment, Unclassified/For Official Use Only, 15 pp. In June 2005, the Government of Mexico sent federal forces to Nuevo Laredo to restore order to the city. As Los Zetas has corrupted many Mexican public officials in the Nuevo Laredo area, the government will likely achieve limited success at controlling their activities. 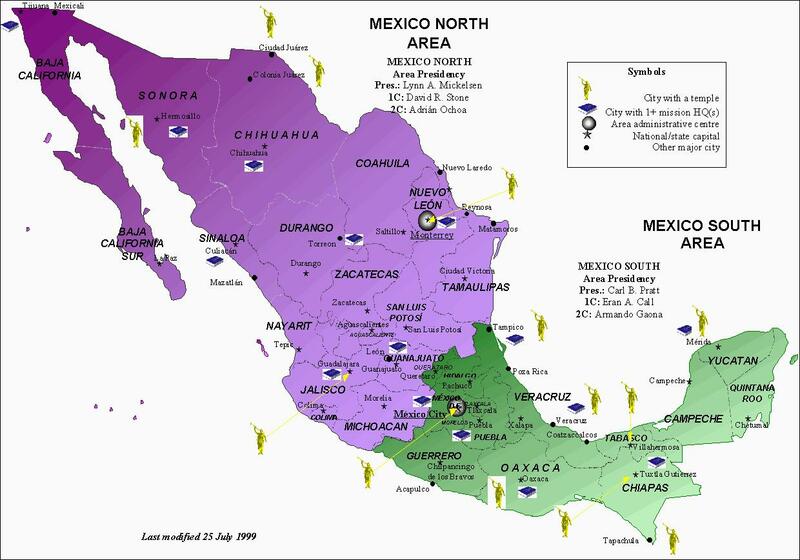 Los Zetas emerged from the Grupo Aeromovil de Fuerzas Especiales (GAFE), a Mexican army unit created in the mid 1990s to combat drug trafficking organizations along the US/Mexico border. The GAFE received special training in tactics and weapons. The US military provided some of this instruction at Fort Benning, Georgia. These elite counter-drug troops learned to use sophisticated intelligence-gathering equipment, advanced weaponry, and specialized tactics to combat drug traffickers. They fought to limit the escalating warfare among traffickers in Tamaulipas after the 1996 arrest of Juan Garcia Abrego, the Gulf Cartelâ€™s leader at the time. An unknown number of GAFE soldiers under the command of Arturo Guzman Decena deserted and joined the Gulf Cartel in early 2002. Reports differ on exact figures but range from 31 to 67 deserters. They dubbed themselves Los Zetas after Decenaâ€™s GAFE radio call signal, â€œZeta 1.â€� Subsequently in a March 2002 shootout, group members helped a [excised] elude capture by Mexican authorities. In May 2002, Los Zetas delivered control of Nuevo Laredo, Mexico to [deleted] by murdering his primary rivals Dionicio Roman Garcia Sanchez and Juvenal Torres Sanchez. you can't dumb down all of the people all of the time. The Mexican drug cartel terrorists run parallel with the Wahabi anti-Islamic terrorists... first they are both funded and armed by the NWO corporate government and second, their preferred method of terror is beheading their victims. Just for amusement, but when you say "Wahabi anti-Islamic terrorists" are you making reference to Al CIAduh, Boko Harum, Chechen, al-Harakat al-Islamiyya, OR Saudi Arabia ? QFT. This is one of the stories that doesn't die. Janet has passed the point of no return, power becomes their God. The standard in WDC and their czars, DENIAL.. They simply wait fot the flack to clear, all evidence to get smoked by any means and time passes taking the criminal actions down the memory hole. Issues like this would have been serious decades past, today they are SOP. All of them... How do you best destroy the character and long term standing of the second largest religion in the world... you paint it with the Wahhabi brush, hyped in the media as being completely barbaric, terrorist, cruel, murderous, and inhuman... 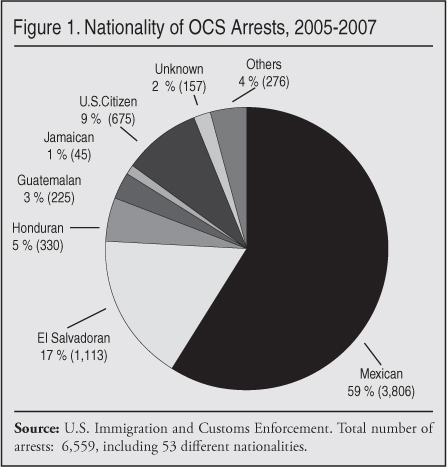 The same way you strike fear in the average American with the open border specter of Latin American drug gangs beheading their own people, entering unchallenged through mezzo-American Re-conquista cartels pushing demographic take-over with the blessing of U.S. government's favoritism and fraud. instead of the government which is to reap its fruits." Joaquin â€œEl Chapoâ€� Guzman, Mexicoâ€™s most powerful drug lord who was captured last year, escaped from a maximum-security prison through an elaborate hidden tunnel, authorities announced Sunday.. It is the second time Guzman, head of the Sinaloa Cartel, Mexicoâ€™s largest and most lucrative trafficker of heroin, cocaine and marijuana, has been able to flee prison. The first time was 2001, when he famously hid in a laundry cart, and he continued on the lam until his arrest last year. Authorities, attempting to explain how it was possible for such an elaborate construction to have taken place unnoticed, said Guzmanâ€™s shower was the only place in his cell where there were no security cameras. President Enrique Pena Nieto and his top Cabinet members were in France on an official visit. Interior Minister Miguel Angel Osorio Chong was rushing back to Mexico because of the escape. oh Mexico, you are so corrupt. USA will be like you soon. The U.S. government has offered Mexico assistance in trying to recapture drug lord JoaquÃ­n â€œEl Chapoâ€� GuzmÃ¡n Loera, who escaped Saturday evening from a maximum-security prison 90 miles outside Mexico City. U.S. Attorney General Loretta Lynch said the U.S. shares Mexicoâ€™s â€œconcernâ€� over Guzmanâ€™s escape. â€œThe U.S. government stands ready to work with our Mexican partners to provide any assistance that may help support his swift recapture,â€� Lynch said in a brief statement Sunday. Soon afterwards, the U.S. government expressed its strong desire to have El Chapo extradited to the U.S. In January of this year, the Obama Administration formally requested his extradition, a highly reliable informed source told me. The extradition request for GuzmÃ¡n was delivered at the end of January to Mexicoâ€™s Foreign Ministry by the U.S. Embassy, the source said. Polls conducted soon after El Chapoâ€™s detention showed that 60% of Mexicans favored extraditing him to the U.S. because they feared that he would escape again. A gunman killed during his attack on an Islamic prophet Muhammad art show in Garland, Texas, reportedly bought a pistol through a botched federal firearm sting. Nadir Soofi bought a 9-mm pistol at a Phoenix gun shop in 2010, one report said, that sold illegal firearms through ATFâ€™s heavily criticized Operation Fast and Furious to track firearms back to Mexican drug cartels. The Senate Homeland Security Committee wants to know if that same pistol was used five years later in an alleged Islamic State-sanctioned shootout targeting right-wing blogger Pamela Gellerâ€™s event, according to a memo obtained by the Los Angeles Times. The letter is addressed to U.S. Attorney General Loretta Lynch from Wisconsin Sen. Ron Johnson. Both shooters, Soofi and his roommate, Elton Simpson, were armed with assault rifles and killed in the May 3 gunfight that ensued with Garland police. Since that attack, the FBI and DOJ has failed to produce serial numbers for the firearms used by Soofi and Simpson instilling the fear that the operation resulted in yet another instance of domestic violence, the LA Times reported. A week-long hold was also placed on Soofiâ€™s gun purchase, but authorities lifted it after only a day, the Times added. The ATF operation ended a month after two guns obtained through the sting were used in a 2010 gunfight with Mexican bandits that killed Brian Terry, an agent with the Border Patrolâ€™s elite tactical team working along the Mexican border in Arizona. The MSM does no keep the heat on the traitors, neither do the congresss or the people in general, the crew is getting away with crimes against humanity. Hell folks, how often do ya hear about the victims of the Iraq (war) WMD hunt........ What the MSM stuffs down our throat daily is a statue of Sadam being pulled down...Mass mind mucking at its finest. Re: Janet Napolitano denies knowing about Fast and Furious DRUG operation. The fate of two Mexican nationals accused of murdering U.S. Border Patrol agent Brian Terry with weapons supplied by the U.S. government is now in the hands of a jury. Terryâ€™s death exposed the governmentâ€™s failed â€œOperation Fast and Furious,â€� which allowed weapons to be sold illegally to Mexican cartels in hopes of tracking them back to cartel leaders. However, 1400 of the guns disappeared during the operation. Investigators found two AK47-style weapons that had been lost from the program at the scene of Terryâ€™s murder. The case went to the jury late Wednesday at U.S. District Court in Tucson, Arizona. Prosecutors say co-defendants Ivan Soto-Barraza and Jesus Leonel Sanchez-Meza were part of a five-man cartel â€œrip crewâ€� that regularly patrolled a remote part of the Arizona desert for drug smugglers to rob at gunpoint. This was the first trial in connection with Terryâ€™s murder. Rip crew member Manuel Osorio Arellanes pled guilty to first-degree murder after being apprehended at the scene of the crime, and was sentenced to 30 years in prison. The other two members of the â€œrip crewâ€� remain at large. 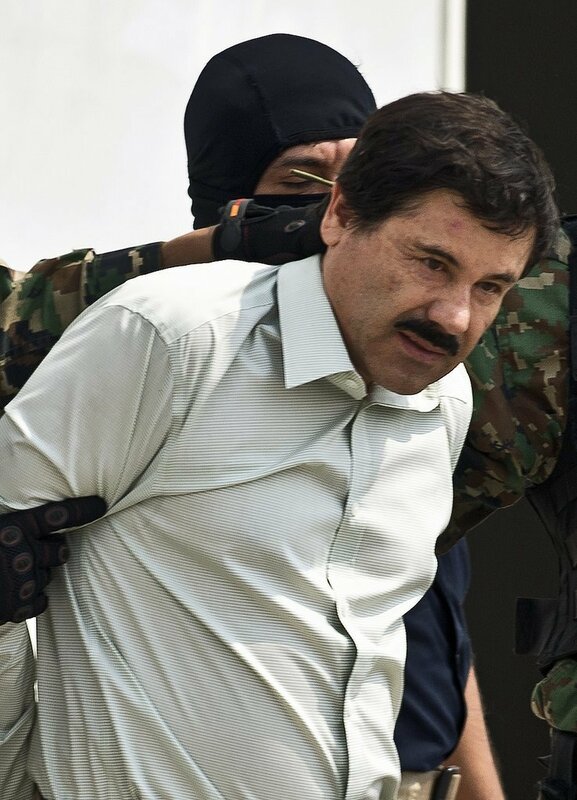 Joaquin "El Chapo" Guzman, the world's most wanted drug lord, was on Friday night recaptured following a last stand gun battle with Mexican security forces. Mexico's President Enrique Pena Nieto said the fugitive cartel chief was taken alive and uninjured six months after he made an audacious escape from a maximum security prison. Guzman, 55, whose nickname translates as "Shorty" and refers to his small stature, escaped from Altiplano prison, 55 miles from Mexico City, in July after accomplices dug a mile-long tunnel into his cell. Notice that one of the texas terrorists last year - Nadir Soof - ALSO had a F&F weapon ... [email protected][email protected]! How could trhat beee??? From the midweek edition of the Morning Jolt: â€˜El Chapoâ€™ Drug Kingpin Had a Rifle From Federal â€˜Fast & Furiousâ€™ Program The Fast and Furious gun-smuggling scandal is one of those stories that the government and the media declared over . . . that wasnâ€™t, or isnâ€™t, actually over. Hereâ€™s a nice example: A .50-caliber rifle found at Joaquin â€œEl Chapoâ€� Guzmanâ€™s hideout in Mexico was funneled through the gun-smuggling investigation known as Fast and Furious, sources confirmed Tuesday to Fox News. A .50-caliber is a massive rifle that can stop a car, or as it was intended, take down a helicopter. After the raid on Jan. 8 in the city of Los Mochis that killed five of his men and wounded one Mexican marine, officials found a number of weapons inside the house Guzman was staying, including the rifle, officials said. When agents from the Bureau of Alcohol, Tobacco, Firearms and Explosives checked serial numbers of the eight weapons found in his possession, they found one of the two .50-caliber weapons traced back to the ATF program, sources said. Also, did you remember this? I didnâ€™t. This week the scandal took on a new dimension with the revelation that Nadir Soofi, one of two Muslim terrorists killed attempting to murder attendees of a â€œDraw Muhammadâ€� cartoon contest held in Texas in May, had acquired one of the guns he owned as a result of the Fast and Furious operation. This meant that the Bureau of Alcohol, Tobacco and Firearms was in the position of indirectly selling Islamic terrorists one of the weapons they may have used in an attack on Americans on American soil. WASHINGTON â€” One of the guns that Mexican officials say was found at the hideout of drug lord Joaquin â€œEl Chapoâ€� Guzman Loera has been found to be associated with Fast and Furious, a failed â€œgun-walkingâ€� operation, according to the Justice Department. The department said in a letter to members of Congress that a .50-caliber rifle that Mexican officials sent for tracing after Guzmanâ€™s arrest in January has been connected to Fast and Furious. Officials say the weapon was one of 19 firearms that Mexican authorities said were recovered from the hideout and was the only one determined to be associated with the botched sting operation, in which the Bureau of Alcohol, Tobacco, Firearms and Explosives allowed gun runners to buy weapons in hopes of tracking them and disrupting gun smuggling rungs. The rifle was bought in July 2010 in a straw purchase by someone not known to ATF at the time. The buyer was later identified and came under investigation but was never indicted. The weapon is not known to be associated with any other crime, the Justice Department says. As of January, the ATF said it had recovered 885 firearms purchased by targets of Operation Fast and Furious. Several of those have been linked to violent crimes, including a 2010 firefight near the Mexican border during which Border Patrol agent Brian Terry was killed.